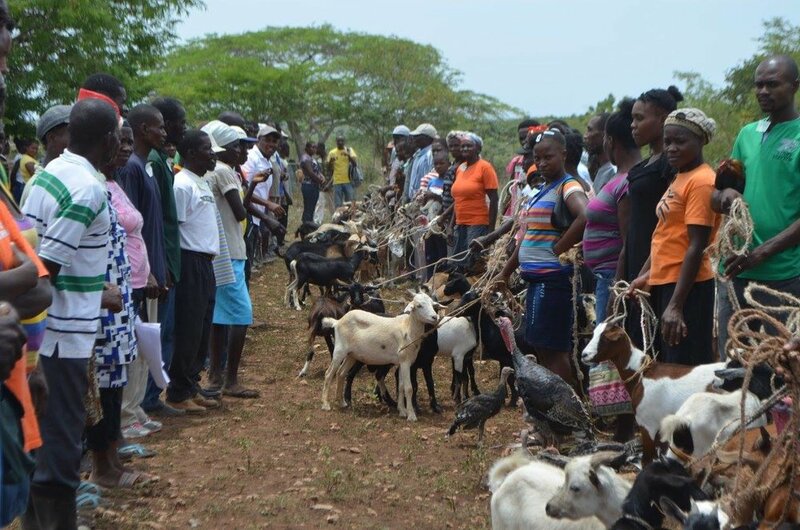 In June and July, PADF, the American Red Cross, the Haitian Red Cross and Heifer International distributed 5,000 goats, chickens and turkeys to residents of Northwest Haiti as part of the Livelihoods project. 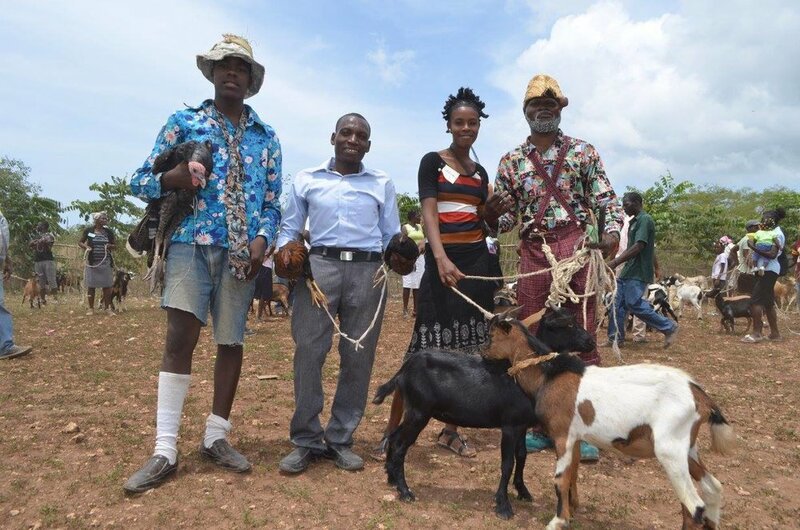 This project aims to increase food security in the rural towns of Mahotière and Citerne Remy by establishing livestock breeding centers and passing on new farming techniques and trades in vulnerable communities. The goal is to give Haitian farmers the tools to build a sustainable livelihood. Rosita Cherry says her livestock help her pay tuition for her children. 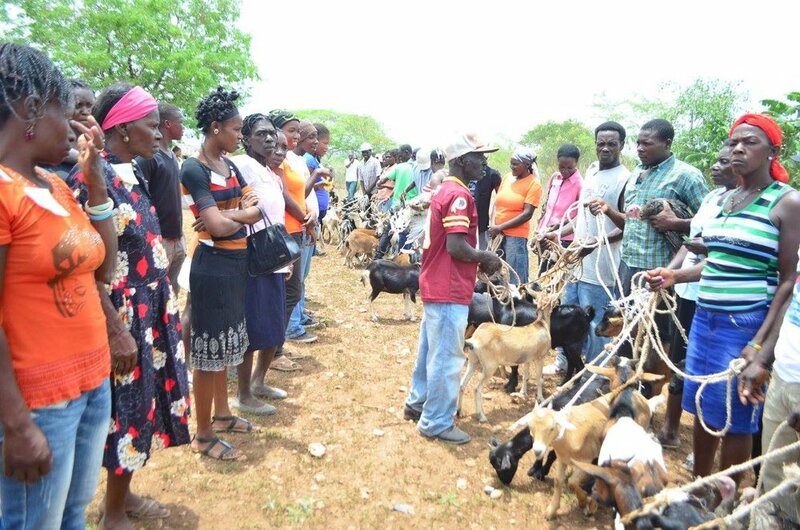 Eight months after having received their first livestock, residents returned the favor to their neighbors: They offered the first litters to others who will go on to benefit from increased and improved income. Rosita Cherry lives in Mahotière northwest Haiti, an area which struggles with drought and declining crop yields. Last year she received three animals through the program. Today, her brood has grown to seven. "I take very good care of my animals," she says. "They are my bank. 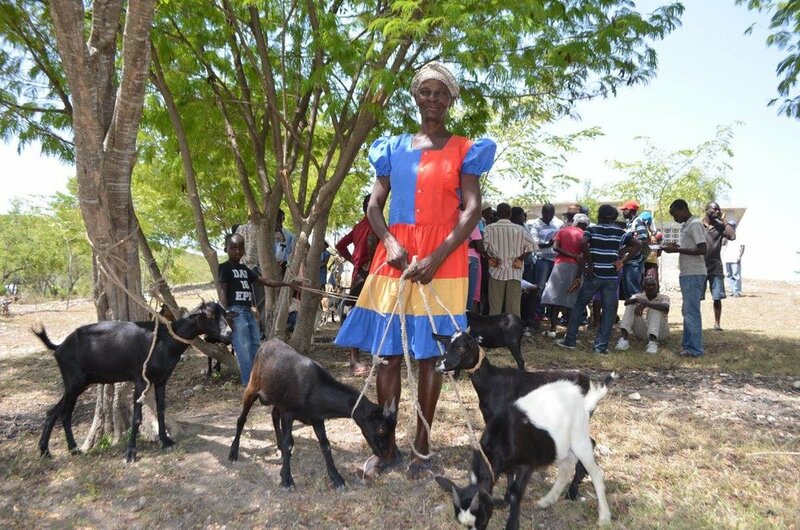 If this year I was struggling to pay school fees for my children, next year I'll sell a few goats to pay tuition."